This article first appeared in Options, The Edge Malaysia Weekly, on July 24, 2017 - July 30, 2017. One of the most popular sports on the planet, the religion of football is not without its deities. 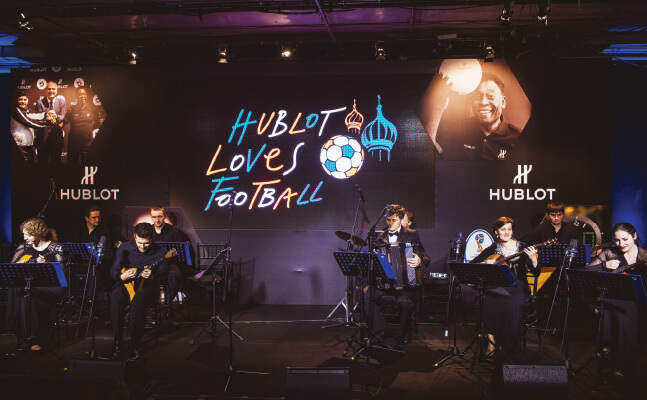 Diana Khoo was in Moscow recently to meet with Pelé, ambassador and friend of Hublot, in conjunction with the 2018 FIFA World Cup 1 Year to Go countdown at Russia’s iconic Red Square, and Ricardo Guadalupe, CEO of Hublot. Born Edson Arantes do Nascimento on Oct 23, 1940 in Brazil, Pelé — a nickname he picked up while in school — seemed destined for greatness. His father, Dondinho, a footballer of repute himself, had big dreams, naming his infant son after the famous American inventor and “wizard of Menlo Park”, Thomas Edison. Despite having a footballer father, the story goes that Pelé only kicked his first football on his sixth birthday after Sosa, one of Dondinho’s team mates, had gifted him with a real ball, where before old socks stuffed with newspapers or a grapefruit had to do. Fast forward 77 years, Pelé has entered the realm of legends and is, without doubt, one of the sport’s best known, best loved and most highly regarded personalities. Bobby Moore, a former captain of England who led his country to World Cup victory in 1966, had remarked how Pelé was “the most complete player I’ve ever seen” while English football writer Geoffrey Green had gushed, “Pelé was made in heaven”. So, it was with great excitement and trepidation that I, together with selected journalists from Asean, trooped into Vasnetsov Hall of the St Regis Nikolskaya Moscow to meet the man widely regarded as the greatest football player of all time. 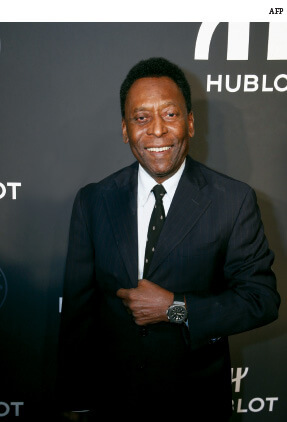 Flashing his trademark megawatt smile, Pelé’s laid-back friendliness immediately changed the atmosphere in the room, from expectant anxiety to warm geniality. He had earlier quipped for all of us to please excuse him as he wouldn’t be able to play in the next World Cup due to recent hip surgery. Watching him chat with genuine ease, it’s easy to forget he is one of the greatest athletes in history. For those uninformed of Pelé’s sporting career, it began at the age of 15 when he joined Santos FC, to whom he stayed loyal for nearly two decades — unheard of today — after which he was also picked to join the Seleção Brasileira (as Brazil’s national team is often referred to). He made his first trip out of Brazil soon after — to play against Argentina at its hallowed Maracanã stadium, scoring a goal and earning his first cap with the national team. Just a year later, the whole world would come to know of the boy from Brazil — still not yet 18 — after his stunning international debut at the 1958 World Cup in Sweden, showing glimpses of the magic to come and, in the course of the tournament, becoming the youngest World Cup winner in history. To date, Pelé remains the only player to have been part of three winning World Cup teams and whose efforts earned Brazil the right to retain the Jules Rimet Trophy (the name of the trophy used from 1930 to 1970) permanently after winning the World Cup a record three times. 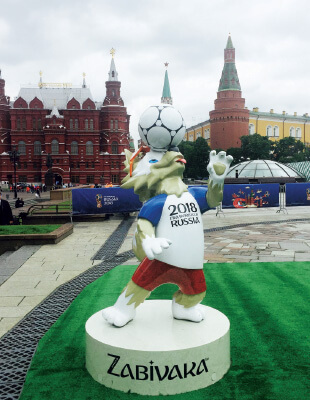 Subsequent trophies are referred to as the FIFA World Cup Trophy. Pelé clearly inherited his father’s talent for prolific goal-scoring, with pundits estimating his career goals to come close to the 1,300 mark, including 77 for Brazil. And it was Pelé himself who is said to have coined the term joga bonito — Portuguese for “the beautiful game” — when he published his 1977 autobiography My Life and the Beautiful Game, thus entering it into the modern vernacular as a synonym for football. And he himself is certainly one of its most expressive exponents, whose style of play is best described as just that. Style. Followers of the sport would also have noticed another striking difference — how it has become more of a business than anything. Certainly, if one were to look back at the jerseys of yesteryear, you would be hard pressed to find a big logo emblazoned across it. A quick look at today’s selections however, and it would be impossible to find one without it. 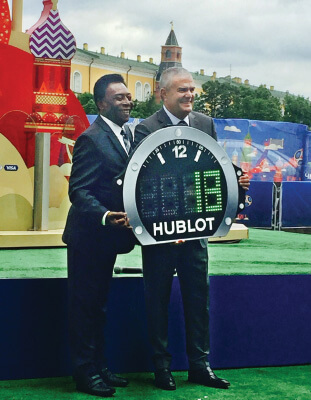 Pelé nods sagely, saying, “Unfortunately, life is like that now. Today, business is very important. Before, people were more focused on the game. But now, with all the big investments — in clothes, shoes, equipment — football becomes a business. “But, more importantly, and even so, football remains the best sport that brings people together. Unfortunately, somebody has to pay the bill. That is part of life,” he adds with a laugh. Certainly the memories of his own final World Cup win in 1970 remain particularly vivid. Brazil, then under Emilio Medici’s military rule, was a country in turmoil and the Seleção felt enormous pressure to win. No longer a young ingénue enjoying a lighthearted debut, Pelé had by then reached national hero status and was under intense pressure to bring home the proverbial “golden fleece”. It’s hard to imagine a time when nation and sport were embroiled in a more fraught relationship. “A lot of people think maybe my first World Cup in Sweden was the most important,” he shares, “but, no. It was very bad in Brazil in 1970 with our political problems. I prayed to win and God was so good. God gave me the strength and we won — Brazil was champion. That was a very important moment in my life.” His smile flashes broadly upon the recollection. Certainly, it was a time of football par excellence. Adjectives like “spectacular”, “spellbinding” and “brilliant” were all the order of the day with sports writers benchmarking Brazil’s 1970 World Cup victory as the pinnacle performance in football history. When asked if he ever considered coaching as a second career, Pelé remarks: “I have had a lot of opportunities, invitations, to be a coach. It was nice (to be invited) but I had decided my life already and I said ‘no’. To be a coach is not for me … too much ‘suffer’. I wish good luck for the coaches but never for me … too complicated. It is difficult. I worked with good coaches and lost and won with some bad coaches,” he chuckles. On the possibility of seeing a champion emerge from Asia or Africa in the near future, Pelé thinks for a minute before answering, “It is difficult to say but I love football and it would be very important for the game all over the world if so, because it is to bring people together. Because of football, we could have the opportunity to stop the war in Africa,” he says, referencing the 1967 48-hour ceasefire between federal and rebel troops in Lagos so they could watch Pelé play in an exhibition game during a visit to war-torn Nigeria. 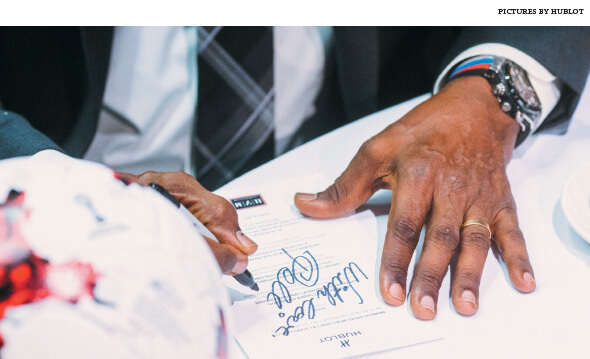 Though he has long hung up his football boots (and with coaching certainly not an option), Pelé’s responsibilities today revolve around promoting the values of health, education and sport, with a particular tenderness towards children. When he scored his thousandth goal in 1969, Pelé dedicated it to the Brazilian youth. All too soon, we are told it is time for the last question, to which Pelé cheekily interjects, “Not last question, please ... but last for today,” before qualifying that statement by adding, with a bright smile, “I’m too young.” Indeed, as we look at him, seemingly not aged a day, it reminded me of a story I had read about Pelé that has stayed in my mind. The setting was the 1970 World Cup finals in Mexico where Pelé, then just 29, had been part of the triumphant team that beat Italy 4-1. Although he didn’t score the winning goal (the honour belongs to team captain Carlos Alberto), it was Alberto himself who had said: “We were teammates at Santos so I knew how important Pelé was to winning. Playing with Pelé felt like you had God on your side.” Hitting the proverbial nail on the head, it was reported that the London Sunday Times’ headline the next day read: “How do you spell Pelé? G-O-D”. As we said at the start, the religion of football isn’t without its deities.